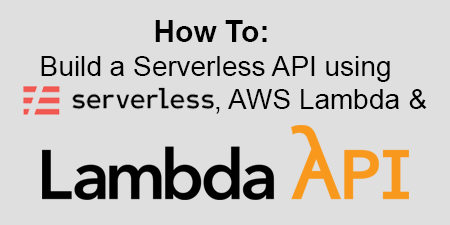 Soon after, a group of developers created the awesome ⚡ Serverless framework, which made deploying serverless applications to AWS Lambda and API Gateway incredibly simple without locking you into a specific programming pattern. They’ve made this better and better as the years have gone on and I’m a huge fan of their mission and the product they’ve built. Serverless (or more specifically, FaaS, functions-as-a-service) has spread to Google Cloud Platform, IBM OpenWhisk, Microsoft Azure and more. While there are no shortage of opinions on the subject, this exciting and powerful technology is here to stay. Here you’ll find posts, how-tos, and musings about both the framework and technology that makes it possible. I also share the experience I’ve had building production-level applications with it, which includes most of the projects I’m currently working on. I’ve been building serverless applications since AWS Lambda went GA in early 2015. I’m not saying that makes me an expert on the subject, but as I’ve watched the ecosystem mature and the community expand, I have formed some opinions around what it means exactly to be “serverless.” I often see tweets or articles that talk about serverless in a way that’s, let’s say, incompatible with my interpretation. This sometimes makes my blood boil, because I believe that “serverless” isn’t a buzzword, and that it actually stands for something important. I’m sure that many people believe that this is just a semantic argument, but I disagree. 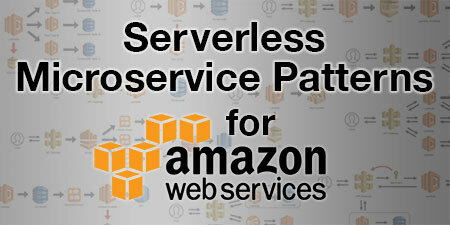 When we refer to something as being “serverless”, there should be an agreed upon understanding of not only what that means, but also what it empowers you to do. If we continue to let marketers hijack the term, then it will become a buzzword with absolutely no discernible meaning whatsoever. 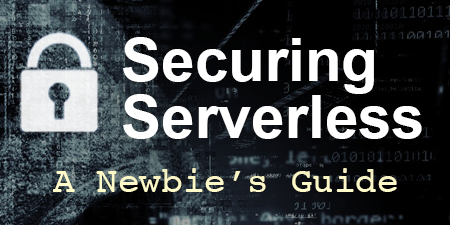 In this post, we’ll look at how some leaders in the serverless space have defined it, I’ll add some of my thoughts, and then offer my own definition at the end. Amazon Web Services recently announced that they increased the maximum execution time of Lambda functions from 5 to 15 minutes. In addition to this, they also introduced the new “Applications” menu in the Lambda Console, a tool that aggregates functions, resources, event sources and metrics based on services defined by SAM or CloudFormation templates. With AWS re:Invent just around the corner, I’m sure these announcements are just the tip of the iceberg with regards to AWS’s plans for Lambda and its suite of complementary managed services. While these may seem like incremental improvements to the casual observer, they actually give us an interesting glimpse into the future of serverless computing. Cloud providers, especially AWS, continue to push the limits of what serverless can and should be. In this post, we’ll discuss why these two announcements represent significant progress into serverless becoming the dominant force in cloud computing.